The Detomaso Scorpion is not actually a real thing. But the seller of this car calls it "European" style and the crude letters on the back call it a Detomaso Scorpion Jasper 424 V8...but I'm not sure if ANY of those words are even remotely accurate....because as best as I can tell, this is a Pontiac Fiero. 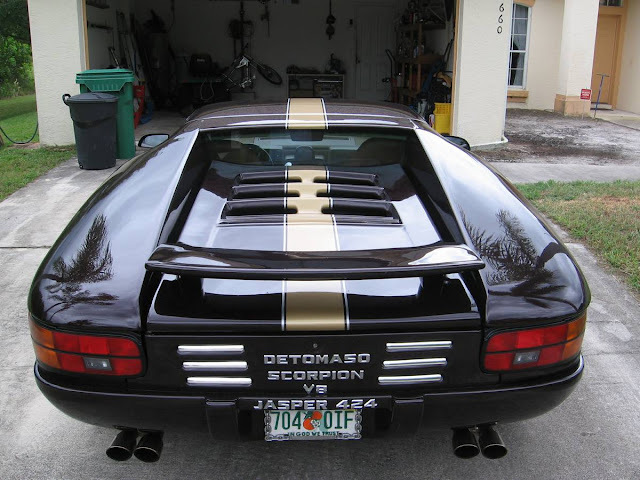 Find this 1992 Detomaso Scorpion Jasper 424 V8 offered for $11,000 near Miami, FL via craigslist. Tip from Rock On! European style, mid-engine Scorpion design. Custom paint is PPG "Black Cherry". 16" tires up front - 17" in rear. Do not need help selling! bushings. Bilstein 1.0 inch anti-sway bar on the front and 7/8 inch in the rear. engine at 350 HP at 5500 rpm. Paint is PPG's Black Cherry. in two nationally published car magazines. I am asking $20,000 and buyer must arrange shipment if out of area. Clean and clear Florida title. Somebody snagged a volume discount on stick-on chrome lettering, which seems at complete odds with the likely expense in time and money that was required to create this unique little beast. Yeah, and the lack of pictures leads one to suspect that the owner took the same approach with the interior. If there were photos of the interior the fiero jig would be up! For 10K if the driveline isn't junk/missing (no pics..?) that would be a great mystery mobile for stumping the local Cars & Coffee experts (minus snazzy chrome lettering). 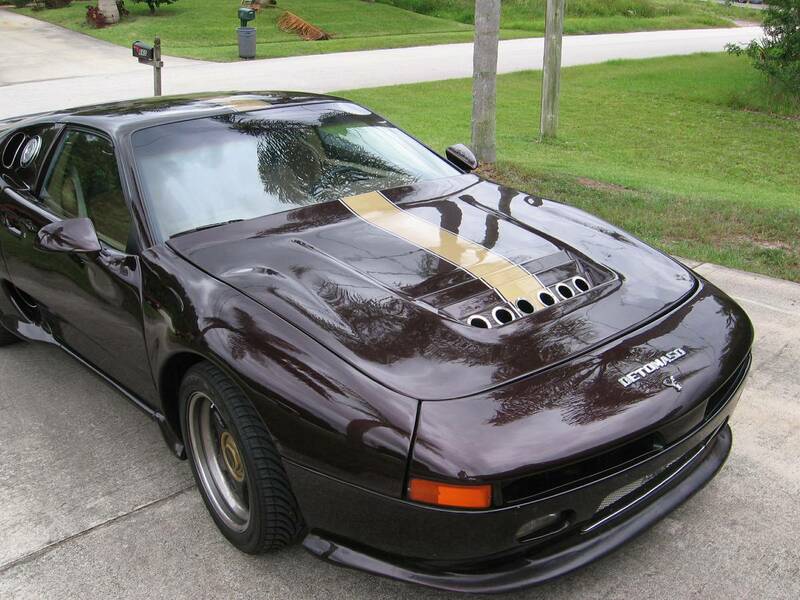 The seller must be allergic to the word Fiero. I can't otherwise explain why someone would say "the chassis is a General Motors mid-engine two seat body" when the single word, Fiero, would convey the exact same information. Another ad from 2009 same color, better badges and different wheels? If it's the same care the badge change is curious. Nice detective work. Could be the same car, but also sounds like several of them were made, if you believe the description. It really doesn't look bad at all with proper badges. built by Jasper Engines who has been associated with NASCAR for years." NASCAR uses remanufactured engines? That would be their basic performance engine that sells for $2K up to $2.4K.